I'm posting a preview of my paintings for my upcoming show at the Buenaventura Gallery in Ventura. This painting is a scene of Poli Street, between Lincoln Drive and North Pacific Ave. It's a picturesque part of Poli Street that was developed in the 1920s with Spanish style architecture. Craig and I use to live about a block away on Encinal Way. 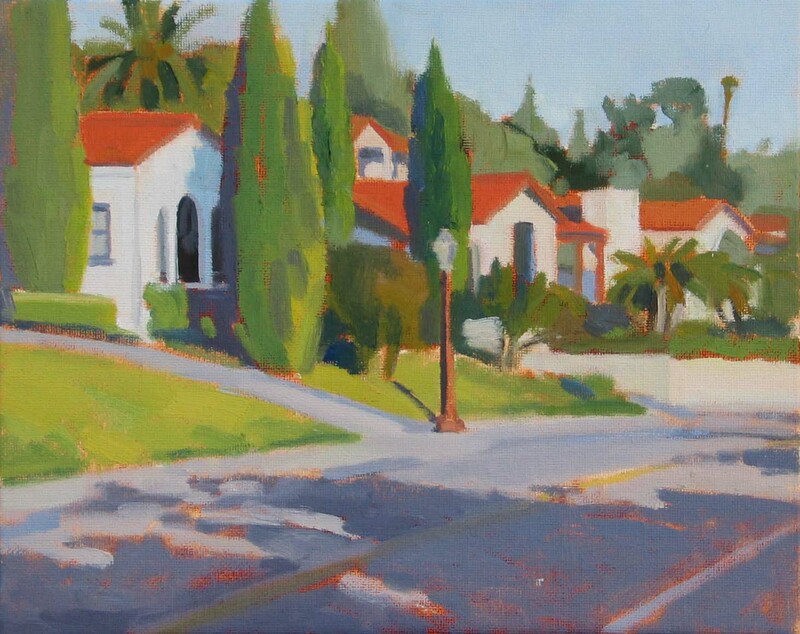 The repetitive style of architecture gives the painting a sense of rhythm. I also wanted to create a sense of depth with the dark tree shadows in the foreground and the lighter foliage in the background.